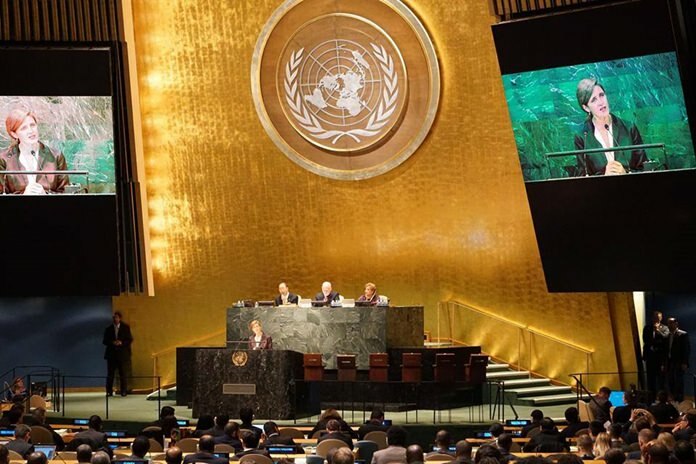 Ambassador Samantha Power, US permanent representative to the United Nations, made a speech during a special UN assembly held as a tribute to the late His Majesty King Bhumibol Adulyadej. Ambassador Samantha Power, US permanent representative to the United Nations. … On behalf of the United States, I wish to convey our deepest condolences and most heartfelt condolences to Her Majesty Queen Sirikit, her children and grandchildren, and to the people of Thailand on the passing of His Majesty King Bhumibol Adulyadej. His Majesty was not only a lifelong friend and partner to the United States, but he also had deep personal ties to our nation. The King’s parents met in Cambridge, Massachusetts, where both were studying medicine – his father at Harvard, and his mother at Simmons College. His Majesty only lived there as an infant, but his presence is still very much felt in Cambridge. I can speak with a bit of authority on this subject because, before I had the privilege of serving in the Obama Administration, I was a professor in Cambridge at Harvard’s Kennedy School of Government. And my walk to and from campus often took me through King Bhumibol Square, which sits adjacent to the Kennedy School, and was named in honor of his birth. Walking through King Bhumibol Square, it is not uncommon to see Thai people who had come to pay homage to His Majesty, taking photographs next to the plaque bearing his name in the square. There are several places like that in Cambridge. 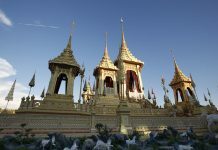 In the nearby Brigham and Women’s Hospital, where His Majesty’s mother once worked, hardly a day goes by when Thai visitors do not come by bearing gifts, flowers, or small, handwritten notes. 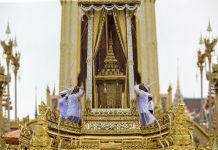 That is the kind of devotion His Majesty inspired in the Thai people. In the eyes of His Majesty, doing things that were useful meant finding a way to solve the problems that affected real people – most importantly, the vulnerable and marginalized people. And, as the King saw it, the only way to know what was useful – and to understand the problems people were facing – was to get out into the field, into the places where people lived. So the King traveled constantly within his country, in particular to the poor and rural parts, where – over the course of his tenure – he would develop thousands of development projects. But it wasn’t just that His Majesty went to these places – we see leaders do that a fair amount – it was also how he went. He made a point of meeting directly with locals – be they fishermen, rubber or rice farmers, or primary school students. When he met with officials, he would choose those working at the very grassroots – agronomists, schoolteachers, policemen. And His Majesty was more than just a keen observer. Being useful meant helping fix the problems that he encountered, and empowering the Thai people to do the same. He had a mind that was at once kinetic and deliberate, creative – as we have heard – and scientific. Over the course of his life, he registered nearly 40 patents and trademarks – often for inventions that he built, tested, and modified himself – and most of which aimed at tackling everyday problems faced by the poor. This is completely extraordinary. Take the invention nicknamed the “monkey’s cheeks,” which he designed to address the perennial floods that Thailand experiences. His Majesty remembered seeing as a child the way that monkeys would store chewed bananas in their cheeks so that they could eat them later, and built a system of small reservoirs that worked using a similar principle – storing excess water during heavy rains that could be used later for irrigation. The system of the “monkey’s cheeks” is still being used across Thailand today. Many of the King’s inventions fit this pattern – merging conservation with human development. He was decades ahead of the curve in recognizing that what was environmentally sustainable was crucial to the long term health of communities. In June 1960, His Majesty returned to the United States at the invitation of then-President Dwight Eisenhower. He was asked to address a joint session of the U.S. Congress. He was just 32 years old. 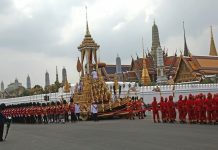 Now the King was speaking about the bonds and generosity among members of Thai families. But in retrospect, his words can just as easily be applied to the way that he lived his life. A life of always looking for ways to be useful to those in need. A life of giving, and of serving, every single day. Not to earn praise, not to get something in return, but rather because that is what one does for family. And His Majesty considered all the people of Thailand to be his family. How fortunate the Thai people were to have had His Majesty as a member of their family. And how fortunate we are to be able to learn from the way that this remarkable king chose to live his life.